Macau's leading leisure and entertainment resort, City of Dreams, is teaming up with the Design Museum (London), the world's leading museum devoted to architecture and design, and Ferrari, the world's most iconic carmaker to present the 'Ferrari: Under the Skin' exhibition in Asia for the first time. 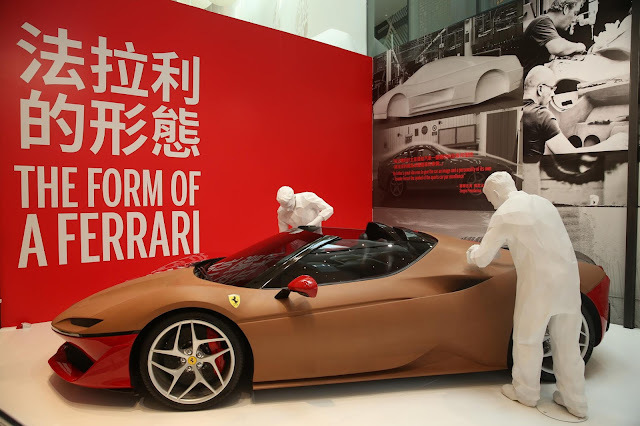 Following on from highly acclaimed runs at the Museo Ferrari in Maranello, Italy and the Design Museum in London, 'Ferrari: Under the Skin' will make City of Dreams in Macau its coveted third global destination from January 25 to June 16, 2019. Continuing City of Dreams' mission to deliver out-of-this-world experiences for global travelers in Asia, and following hot on the heels of the opening of the groundbreaking Morpheus hotel, the HKD2 billion-valued major exhibition takes visitors on an immersive journey to explore the history and design of the world's most luxurious and iconic car brand. Curated by the Design Museum in London and the Museo Ferrari in Maranello, 'Ferrari: Under the Skin' features over 10 cars of significance and some 100 original artefacts from the legendary Italian marque's rich history, many of which are from private collections and are on display in public for the first time in Asia. 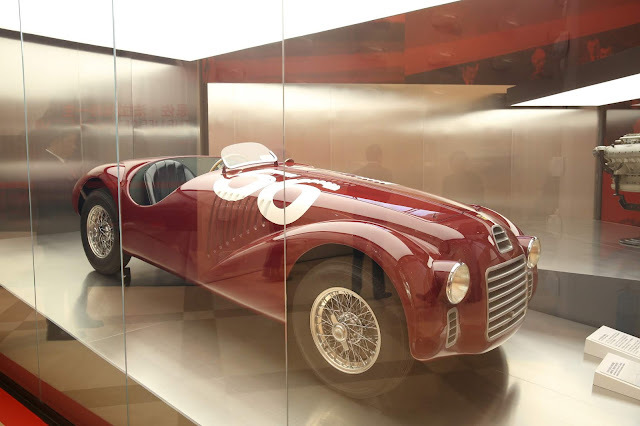 For the duration of the exhibition, City of Dreams will transform its contemporary art space into a unique museum that will showcase the rise of Ferrari from its against-the-odds beginnings in an Italy ravaged by the Second World War to the glamour and glory of the brand we know today. 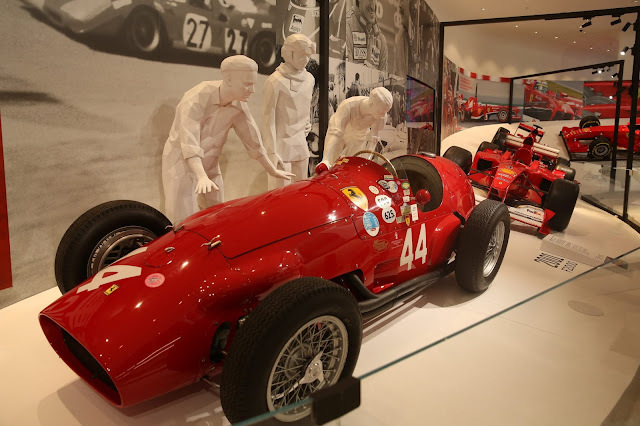 The exhibition captures the passion, ambition and relentless drive for excellence that has made Ferrari the most sought-after name among motoring enthusiasts the world over. 'Ferrari: Under the Skin' is divided into six distinct zones, showcasing everything from original hand-drawn sketches and early wooden master models to engines, gearboxes and other parts that illustrate Ferrari's ground-breaking engineering techniques and design. 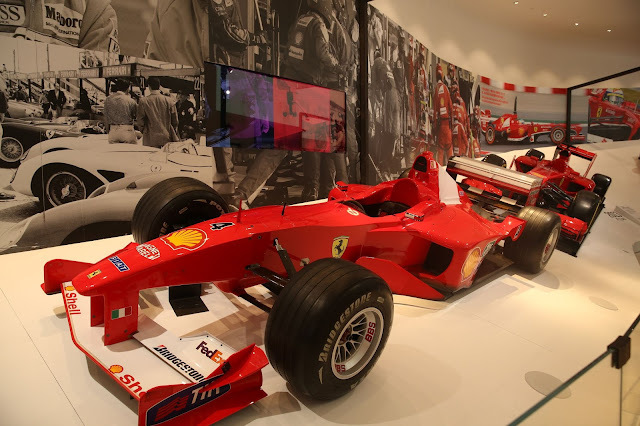 Among the highlights set to thrill visitors is an exact replica of the first Ferrari ever made in 1947, the 2000 Formula 1 championship-winning car driven by Michael Schumacher as well as an elite selection of vintage racing cars that hold a special place in Ferrari's incredible story. Mr. David Sisk, Property President of City of Dreams Macau, said: "We are very excited to bring this exceptional exhibition to Asia for the first time, and to give visitors to City of Dreams the exclusive opportunity to experience some of the most famous cars of all time. Just like Morpheus, innovation and style have always been at the heart of Ferrari's DNA, and the collaboration between the two ultra-luxury brands highlights our shared values and relentless drive to keep raising the bar." Deyan Sudjic, Director of the Design Museum, said: "Ferrari Under the Skin shows the remarkable creative process that goes into designing, building and racing some of the most beautiful and powerful cars ever made. We are delighted that the exhibition will be enthralling a new audience in Macao. It's particularly appropriate that it will be shown in a venue so closely associated with the architecture of Dame Zaha Hadid, a brilliant designer, and a long term friend of the Design Museum. Tickets for 'Ferrari: Under the Skin' are available now, priced at MOP80. Guests will be eligible for one complimentary ticket on any spending at City of Dreams' outlets. For more information, please visit www.cityofdreamsmacasu.com. "The House of Dancing Water", the world's largest water-based extravaganza showcased in the purpose-built Dancing Water Theater, represents the live entertainment centerpiece of City of Dreams' overall leisure and entertainment offering. A comprehensive range of accommodation options at City of Dreams include Nüwa offering approximately 300 guest rooms, The Countdown offering approximately 300 guest rooms and Grand Hyatt Macau offering approximately 800 guest rooms. In addition, Morpheus, the new hotel at City of Dreams designed by the late legendary architect Dame Zaha Hadid, commenced operation on June 15, 2018, offering approximately 770 rooms, suites and villas. For more information please visit: www.cityofdreamsmacau.com (Official Website) and www.cityofdreamsmedia.com (Media Portal). For The House of Dancing Water information, please visit www.thehouseofdancingwater.com (Official Website) and www.thehouseofdancingwatermedia.com (Media Portal). The Design Museum is located in London and is the world's leading design museum. It makes the impact of design visible and is the only place in the UK where the design industry, education and the public can come together to change the way people think about themselves and the future. Since it opened its doors in 1989 the museum has displayed everything from an AK-47 to high heels designed by Christian Louboutin. It is a registered charity that has staged over 100 exhibitions, welcomed over six million visitors and showcased the work of some of the world's most celebrated designers and architects including Paul Smith, Zaha Hadid, Jonathan Ive, Miuccia Prada, Frank Gehry, Eileen Gray and Dieter Rams. On 24 November 2016, The Design Museum relocated to Kensington, west London. Leading architectural designer John Pawson converted the interior of a 1960s modernist building to create a new home for the Design Museum giving it three times more space in which to show a wider range of exhibitions and significantly extend its learning programme. The Design Museum is European Museum of the Year for 2018; the Design Museum was one of forty finalists and the sixth UK winner in the award's 41-year history.